In this post let us see how we can debug the Background jobs in SAP. To setup the jobs click here. If you want to know the IDOC basic (create , execute and select the list) then Click Here. 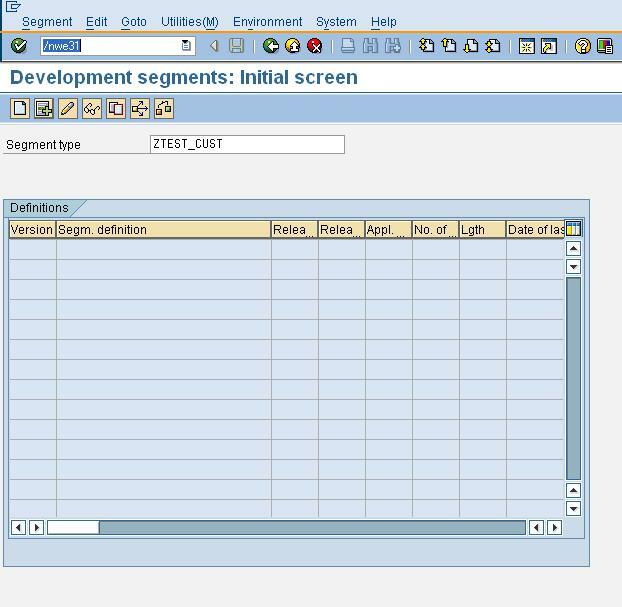 In this post let us see how to configure a new IDOC message type in the SAP system. The Main SAP Transaction for IDOC processing is WEDI. AS soon as you go there you will see all the t-code associated with the IDOC will appear. This contains all the IDOC t-codes from creating to processing to configuration. Here we are going to look in to a business case and see how we can configure the IDOC and how to process the IDOC. We have a Text file coming from a 3rd party with customer first name, last name and Age. In this post let us see about IDOC. IDOC is a Intermediate DOCument[IDOC] that is used in SAP. The best way to import data from Any system to SAP is thru IDOC. Once the data is in the IDOC format SAP can read the information and store the data in that as IDOC which it stores in the database and will be available for processing and posting the data in the SAP system. Some of the main transaction code that I use in CCS. Hope this helps. Click here to find the transaction code for any modules.